Arkansas - Likely GOP nominee John Boozman has a 54%-40% lead over incumbent Sen. Blanche Lincoln. Her Democrat primary opponent also trails Boozman by nine points. Kentucky - Rand Paul is likely to be the GOP Nominee, and he leads both Democrat nominee hopefuls, by three and five points respectively. Paul's challenger, Trey Grayson, actually leads the two Dem hopefuls by larger margins - six and eight points respectively. New Hampshire - Republican Kelly Ayotte has a comfortable lead of Democrat Paul Hodes, 50%-38%. 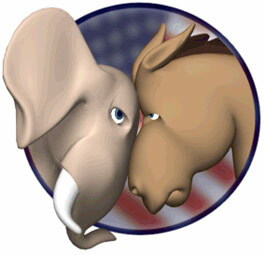 Go here for all the latest polls (links to polls included) and projections on the 2010 U.S. Senate Races.